If you tend to sleep on your side then you are what they call “a side sleeper” and chances are that you may have all kinds of issues with your shoulder. This could be something mild like discomfort and it could complicate over time into pain. Various injuries can be suffered by side sleepers having issues with shoulder for example to do with the rotator cuff. These injuries can even lead to sleep disorders like sleep deprivation or insomnia, because, over time, you might have problems falling asleep due to discomfort and pain or you might have negative consequences if you wake up with poor sleep and pain day after day. Also, all side sleepers are not really the same. Some sleep while keeping their body straight, others curl up or put a pillow between the legs – that’s just concerning the length of the body. Then there is the positioning of the shoulder and the hand. Here some people put their hand above their head directly under the pillow so their entire body looks like one straight line, yet others curl the hand inside in the inner area and put all the weight of the head and shoulder on the pillow. 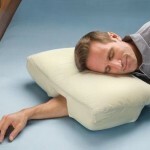 The third possibility also exists where people put their hand at a 90 degree angle and partly under the pillow. Simply following the laws of nature / physics, depending on which position you sleep in described above you will have different amounts of pressure or force put on both your shoulder and your hand on which you sleep. The more pressure there is at uncomfortable angles for your body the quicker you will end up with a side sleeper shoulder pain and over time this pain or this experience will most likely turn into a chronic condition which will, like a small fire turning into a large disaster, start to negatively impact your health and development of sleep disorders and your quality of life. Like any chain reaction this will also start affecting your relationships with friends and family and just get worse and worse from something so banal like a sleeping posture. What Can Be Done About The Side Sleeper Shoulder And Hand Pain? The solution is very simple, but it may require quite some time to get it right. 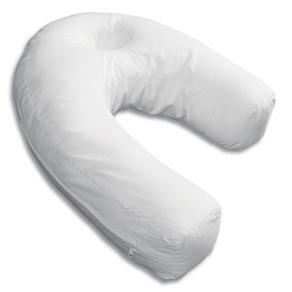 The root cause of the issue is the support given by the pillow. You see when you lie down in a horizontal way (including your head) immediately it is possible to see that there is distance between your head and the floor. This distance needs to be supported by a pillow and it varies from person to person but is usually higher than the height of most people’s pillows. So it will take you time to look through various side sleeper pillows and find which is tall enough and tough enough to give the correct support. 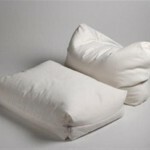 You can start by looking at side sleeper pillow reviews and read descriptions, look at pictures and read people’s comments. 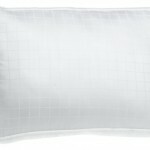 Also keep in mind that for your hand, some pillows also offer a hollow channel so less pressure is put on the hand on which you sleep. There are awesome side sleepers. Nice informative blog telling us about how to avoid shoulder pain. Great. Just seems like an ad for pillows. Why not discourage side sleeping altogether? I am a 45 yr old side sleeper, gym rat. Sleeping on my side along with a 25 year run where I performed military presses in the gym, has turned into a torn shoulder labrum on each side. My chronic shoulder pain started in the middle of the night after sleeping on my side with a short pillow and tucking my lower shoulder under myself with too much weight placed on that shoulder. At 45 years old, I am just now figuring out, with the help of articles like this, that my pillow (and military presses) have been the source of my problems. Had I known this years ago, I first would have been much healthier physically and a little wealthier from NOT having $16k worth of shoulder surgery. Now the next step, I guess, is finding the right pillow. Do I measure the space from my ear to shoulder to find the right pillow? I’d like to buy the right pillow the first time. Very interesting indeed. I have shoulder pain when I sleep on my left side. 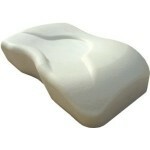 It doesn’t hurt at the gym or while carrying a heavy pack in the mountains, just when I sleep on my left side. I spoke to a physical Therapist and found out about side sleeping syndrome. I wounder if the pillow is the way to go or is it best to simply try not to sleep on my side?